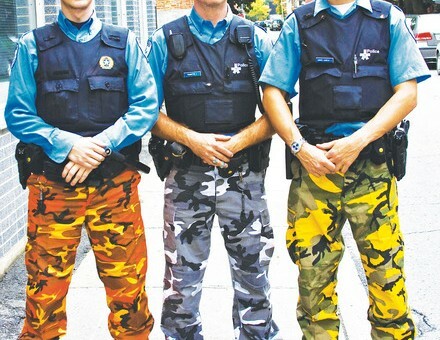 The Montreal Police Department is fading to black. Well, at least their shirts are. After decades of a lighter, softer look, the force is conforming to the growing trend cross Canadian police departments by sporting dark, blue-black uniform shirts. There was a time when most police departments across Quebec outfitted their cops in the light blue shirt (white for top brass). Personally, I find the lighter hues to be friendlier and approachable. 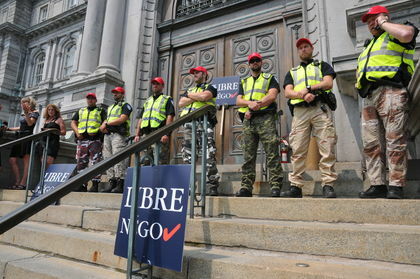 I particularly despise the Quebec Police Force (Surete du Quebec) khaki uniform which looks very paramilitary and gives the wrong first impression of our dedicated and professional uniformed officers. The new black shirts for the Montreal Police Department might make our officers, Montreal’s Finest, look like their counterparts from big American cities. A little too scary from my perspective given that Montreal’s crime rates are lower than large American cities or Toronto. To their credit the Police Department asserts that, “Our philosophy does not change. We remain a community police department. Our officers are mandated to be in their community and to get closer to the people and the colour of the uniform does not in any way change our approach”. That’s the most important thing and I appreciate that they hold this philosophy at the heart of their mission. 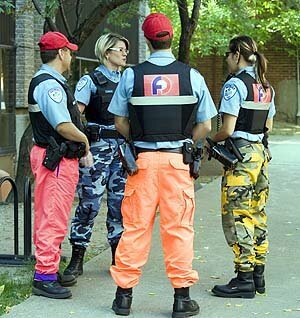 Regardless of the colour of their shirt the Montreal Police Department must stick by their motto, “Proud to serve you”.